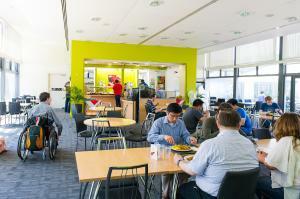 The Terrace restaurant is situated in the Social Centre complex in Building 38, on University Road. 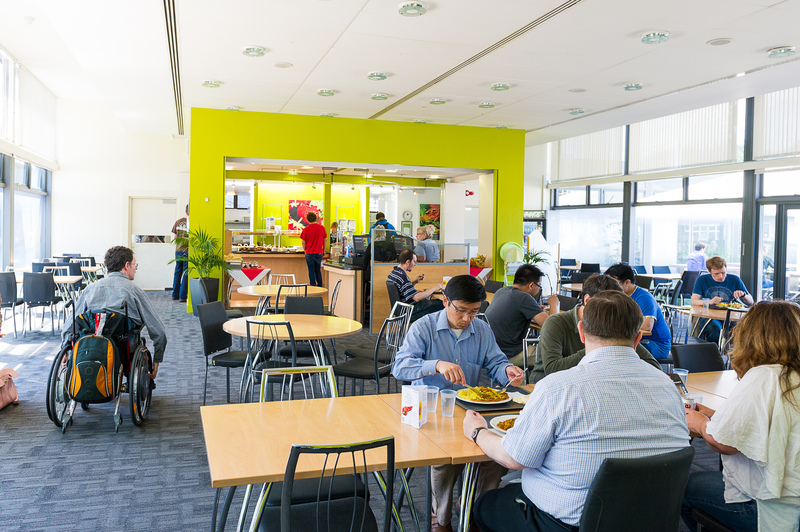 The restaurant can cater for up to 140 customers and offers a variety of hot and cold dishes for university staff, post graduate students and visitors. The type of food on offer is a mixture of traditional and international dishes, with a counter service. There are a variety of dishes available each day including a vegetarian meal and a choice of freshly prepared vegetables. Freshly made hot and cold desserts are also available. Branded cold drinks and speciality coffees and teas can be purchased at the till points to enjoy with or after your meal. The Terrace offers customers a place to dine in a pleasant atmosphere with high quality food at a reasonable price. On weekends, the restaurant is also a popular location for wedding breakfasts, formal banquets, dinners and private functions, with the Arlott Bar serving as bar and dance area.